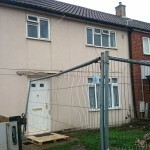 August 2015 a new mortgage approved scheme has been licensed by the BRE Global (Building Research Establishment) this scheme is for the removal of the external PRC external walls. 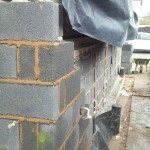 The external walls are then rebuilt with a new traditional block and brick cavity construction. 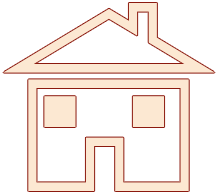 Mortgages can be arranged with high street lenders at normal interest rates. Mortgages for homeowners and Right to Buys. 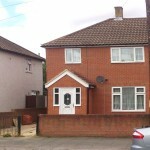 The Clients have recently purchased their Wates PRC house after taking up the Right to Buy. 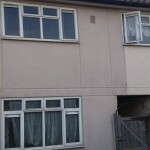 A high street mortgage has been arranged to cover the cost of the purchase and the extra funds to carry out the PRC repairs at normal interest rates. 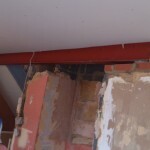 The internal concrete beams do not need to be replaced and the works to the party wall are not required, which means the repair costs are lower than a PRC Homes Ltd scheme. Often referred to as the full scheme. 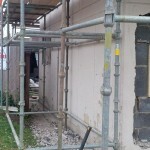 This repair involves removal of the concrete exterior wall and replacing with a traditional brick and block wall. 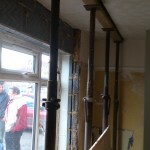 There are 2 concrete beams which sit on either side of the fireplace and these are removed and replaced with steel RSJ’s. 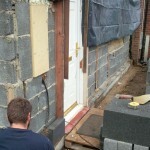 The party wall/walls will also need a new load bearing wall this could be either in blockwork or timber frame. 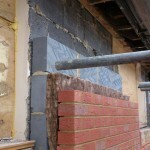 There are different variations on Wates houses and each house will need to be accessed before work is completed to the party wall. Most major high street lenders will offer mortgages if they have been repaired using this licence at normal interest rates. 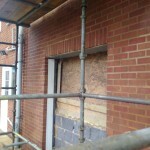 The external concrete walls are removed and replaced with a traditional brick and block cavity wall. 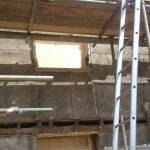 The internal concrete beam is not removed and no work is required to the party wall. This scheme is cheaper than a PRC Homes Ltd scheme. High street mortgages are available at normal interest rates. The exterior Wates PRC concrete panels are left in place and a new brick outer skin is built around the house, hence the term brick wrap. 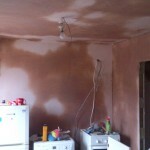 This type of repair comes with a structural engineers PRC Certificate and is acceptable to the Halifax for a mortgage. 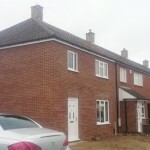 The Halifax were lending on this scheme before the introduction of PRC Homes Ltd. The PRC repair scheme most commonly used is known as the Walsall Metropolitan Scheme for Wates houses and was designed for Walsall Council to carry out repairs to their own stock of Wates PRC houses. 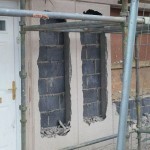 Most other mainstream high street mortgage lenders will not lend on this brick wrap repair scheme. 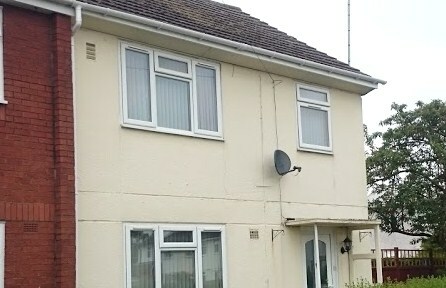 There are a lot of Wates PRC houses being sold as unrepaired PRC houses through estate agents advertised for cash buyers only due to mortgage lenders not accepting this type of scheme. 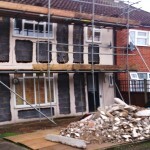 We do not repair houses under this scheme. About 30,000 Wates PRC houses were built after the second . world war. They were factory made as a prefabricated reinforced concrete (PRC) large panel type concrete house. 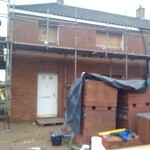 Over the last 10 years a lot of Wates PRC houses have been repaired under a repair scheme known as BSF NU2000, this repair removes the exterior concrete panel walls and replaces with a traditional brick, cavity and insulation block. Before the credit crunch there were quite a few high street mortgage lenders who granted mortgages using this repair scheme. Over the past couple of years these lenders have now been taken over or merged with other banks and Clients are now finding it difficult to sell or remortgage. 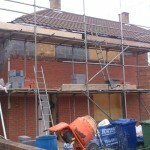 You can have the additional works carried out to bring your Wates house up to a PRC Homes Ltd approved repair scheme. This would involve replacing the concrete beams either side of the fireplace with steel RSJ’s. 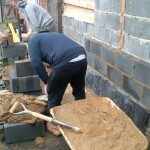 The party/or parties walls would also require some works to be carried out. A new PRC certificate would be issued showing the house conforms to a PRC Homes Ltd licensed repair, acceptable to major high street lenders.